In the summer time, nothing can be as delicious as fresh veggies straight from the garden. Here’s a photo essay of my Aunt Dottie making a quick easy beet salad with young beets thinned from the beet patch of my parents garden. Take fresh picked baby beets, and rinse, cut in half and sear over a hot grill until wilted. Mix with salt, pepper and a splash of balsamic vinegar. Serve. Yum! 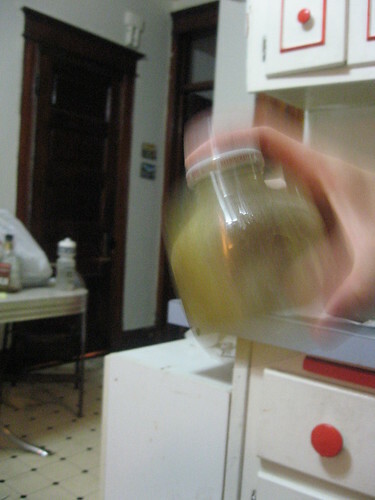 Find a jar with a lid. 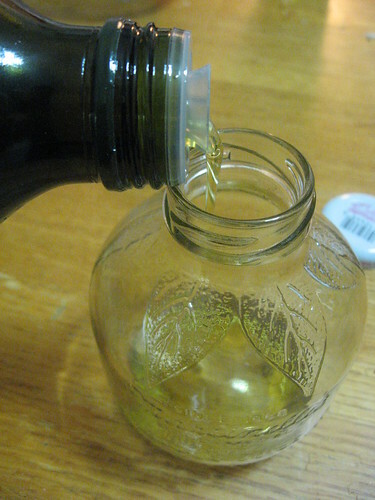 Mix together oil and vinegar in approximately a 1:1 ratio. Here instead of vinegar I used freshly squeezed lemon juice for added freshness. 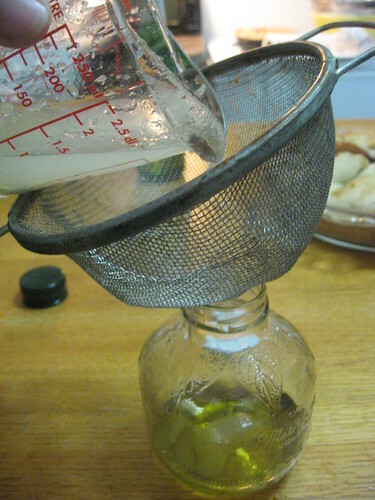 Use a strainer to keep the seeds out of the dressing. Mix to emulsify the two together. Here you have your basic base. 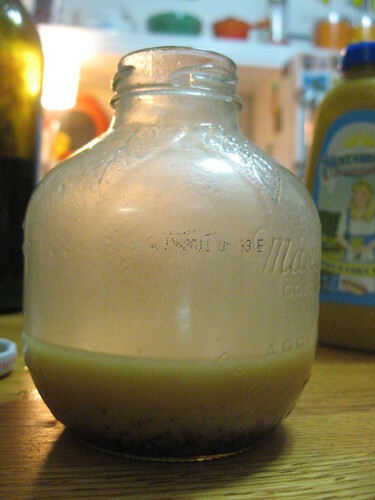 I usually add a sweetener to balance the flavor of the vinegar or citrus juice and mustard to give it a little body. 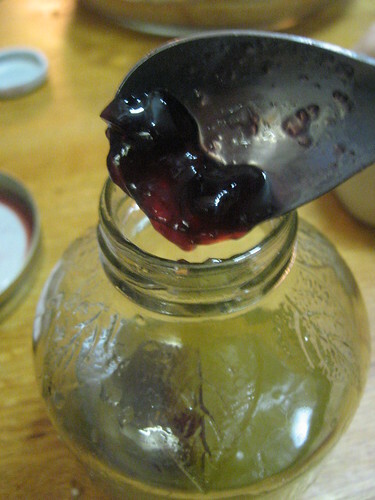 Here I used my homemade raspberry jelly (you can use fresh smashed raspberries as well) and a small amount of honey mustard, but you can use any fruit or sweetener you wish to try. Shake it again, and your dressing is all ready to go. This week, I am on a summer salad kick. Who wants to heat up the kitchen when you don’t have to. Plus salads are quick to make, they’re healthy and they don’t make you feel like you have a 10lb weight in your stomach after eating. I found this entry when searching Flickr for “fresh summer salads”. Looks good enough to eat. Har har. Ok, anyway, this photo was posted by Amber, author of My Aim is True a great craft blog with lots of tips on cooking, sewing and living a crafty life. Click here for the Chipotle Lime Summer Salad recipe.